::: Money in the music streaming business keeps mysteriously disappearing. Here’s why. 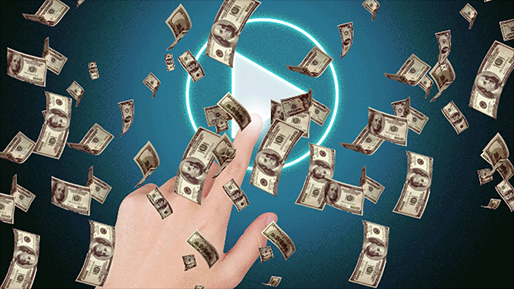 Money in the music streaming business keeps mysteriously disappearing. Here’s why. Written by Kelsey McKinney — A ton of money in the music industry is going missing. Some companies, like Kobalt Music Publishing, have platforms that watch their money in real time. And yet according to a recent report by Berklee College of Music, somewhere between 20-50 percent of royalty payments aren’t making it to the correct recipients. And in a $45 billion dollar global music economy, that figure certainly isn’t chump change. So where is all of that money going? The business of streaming music, as it stands today, is confusing, muddy, and incredibly mysterious. And that’s part of why it’s so controversial. From the very beginning, the check written could be wrong. Companies that stream music—like Spotify, Pandora or Apple—pay artists in exchange for playing their songs. Somewhere between the company cutting a check to cover the music and the artist— be they a performer, a songwriter, a sound engineer, or a producer— depositing money into a checking account, dollars are disappearing. In their report, Berklee surveys the current music industry using studies, first accounts and input from Berklee students and faculty. It both tackles the issues currently facing the music industry and provides suggestions for how to affect change going forward. One of the biggest problems the report addresses is the lack of transparency in the industry that allows money to go missing. Those payouts should be easy to prove; the companies can produce statements of how much money they’ve paid out. But it’s difficult to be absolutely certain that the dollar figure on the check is the correct amount. Some musicians, record labels, and publishers—folks who used to make a lot of money in the music industry—are upset and believe that streaming doesn’t pay properly. Think about Aloe Blacc’s op-ed for Wired or Taylor Swift’s op-ed for the Wall Street Journal. Both predicate their points on the argument that there’s no money to be made in streaming and that streaming companies are part of the problem. Whether the checks coming out of streaming companies are exactly precise isn’t a symptom of sloppy calculations on their part—it’s a symptom of a greater problem in the music industry in general. No one knows who to pay for a play. In the music industry, everything is privatized—including basic information. Think about the liner notes that used to come with music when it was sold in vinyl, cassette, or CD formats. If you flipped the pages past the lyrics you found credit for everything on every song: who wrote it, who recorded it, where they recorded it, who played bass on track 4, etc., etc. That information is owned by whoever owns the rights for that album (sometimes the label; sometimes the artist themselves), and there’s no comprehensive, searchable database open to the public that can be used by members of the industry—be they streaming companies or artists themselves. There’s not even really an easy way to find out who owns the rights to which albums. An artist, of course, knows what they are credited for, and maybe their label even has solid records of every work they deserve to be paid for. But that record isn’t public, and there’s no way for a third party (like a streaming company, a movie production company, anyone who wants to play music legally) to know exactly where their check should be going. What this means for streaming companies is that sometimes paying an artist for their work is a lot more complicated than just cutting a check—because they aren’t exactly sure who should get paid for the play. Even once the money from a song transfers hands from the service to the label it could still get lost. Sometimes—in these old databases transcribed from paper to computer and moved through system after system—songs are attributed to the wrong name, and the wrong person gets paid. Sometimes no one is assigned a song and so no one gets paid for its play. But because all of these databases are private, there’s no way for an artist to see if this is happening to them; it’s just a reality of the industry. No one knows exactly how payment is calculated, nor exactly where it’s sent. With the exception of non-direct streaming platforms like Pandora and Rdio, no one really knows how the payments for Spotify, Tidal, and Apple Music are calculated. Every company determines their own system. Despite the way we talk about streaming, Spotify doesn’t calculate their payouts based on a “per play” system. Instead, an artist is paid based on how big of a percentage of Spotify’s total plays they make up, then some fancy calculus is performed, and a number is created. That’s confusing, sure. But the bigger problem is that once that number is decided, it is handed over to a record label, and the label decides how the money gets filtered. There is zero transparency in the industry; the dollars paid out from the streaming companies are not traced to their final sources. Because labels function as independent companies, they do not have to disclose how much of the money from streaming they are choosing to keep. Additionally, most artists sign contracts that involve promising that they won’t talk about how much their label is keeping. It’s a dark, winding labyrinth where it’s incredibly difficult to see what’s happening. There are no data standards to help monitor where money is supposed to go, and the music industry has failed to institute a system to help keep up with all of the moving pieces in this puzzle. “There is plenty of technology out there to fix these problems; it just hasn’t been adopted,” Bargfrede told me. Too many people are entitled to a chunk of the money without accountability. Where artists get frustrated, and rightfully so, is when the check they receive in the mail doesn’t add up to as much as they think it should. The music industry, like many creative industries, functions underneath a heavy velvet curtain of non-disclosure agreements and back-room deals that are kept private. Artists, for example, sign to a record label—which helps them distribute, market and package their work—often without a legal consult. Some musicians end up signing away far more of their profit than is probably necessary. Once this happens, though, there’s nothing an artist can do. Non-disclosure agreements keep artists from being able to call out labels and publishers without breaking their legal contract; and often they don’t have the data to make a case, anyway. But all an artist sees is the final number on their check. At which point? By whom? No one can tell how the money is divided up. According to a report from the Recording Industry Association of America (RIAA), streaming services contributed 27 percent of total industry revenues in the first half of 2015. That’s up seven percent from last year. That percentage has been steadily moving upward since the early 2000s. “A lot of people are seeing their download revenue going down as the streaming revenue goes up. Five years ago people were unsure, but I think the evidence is now there that streaming is going to become the dominant form of consumption,” Matt Bristow, the director of UK record label Red Cherry told me. This, of course, does not mean that the amount of money these labels are making off of streaming is equal to the amount of money they might have made off of physical copies. But there is certainly money to be made in the streaming world. In other words: The music industry continues to make money. But because there’s no transparency—and so much red tape in the form of non-disclosure agreements—there’s no way to see exactly where the money is going. The frustrating part is that this is a mystery than can be solved. With a little cooperation and a lot more transparency, we have the technology to accurately track cash as it travels through the business. But cooperation in an industry swarming with change and fear is a lot to ask.